In my latest fit of manuscript writing I came across an intriguing reference to early topiary forms being derived from sentinels. As castles devolved into houses rather than fortifications, the tradition of a guard standing watch was retained in harmless, but still imposing, evergreen form. I haven't been able to confirm this by any other references but many of the older topiary forms are in fact distinctly soldier-like. 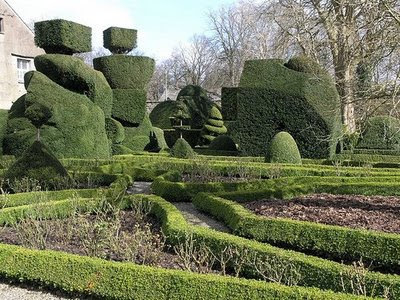 The topiary at Levens Hall in Cumbria, shown here, is some of the oldest in the world, dating to the late seventeenth century, though it has been re-cut over the years. Older English topiary work tends to be strongly anthropomorphic; Levens also featured forms representing Queen Elizabeth I and her ladies in waiting, attired in bulbous green hoop skirts. The twelve apostles in yew were a perennially popular theme. The Asian topiary tradition, on the other hand, is distinctly different than that of Europe--the favorite motif being cloud-like forms--and topiary has a much less significant place in youthful American garden history, which has no castle antecedents, than in the ancient traditions of England and France, which was the source of the sentinel reference. Perhaps it is why topiary still seems so appropriate at gates and entrances, stiffly standing guard. Interesting history of the topiary form. I love topiary to look at and consider it a wonder of the world. 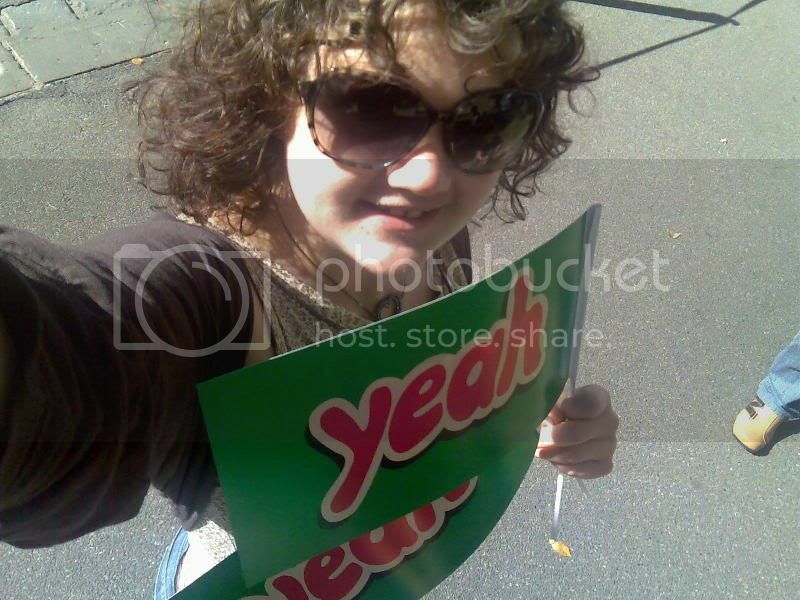 There would never be a time that I could manage to do it myself - too many other activities call claim to my hours. You're right: They are sentinal-like. That second photo is an amazing example, isn't it? Interesting, a while ago in my reading on Veneto gardens I came across a travel journal by a Russian in 18th century Italy who believed that the topiary figures of soldiers in Veneto gardens actually grew that way with no human intervention! Always fascinated me as my Grandfather (a professional gardener) shaped all his hedges into rather abstract shapes. 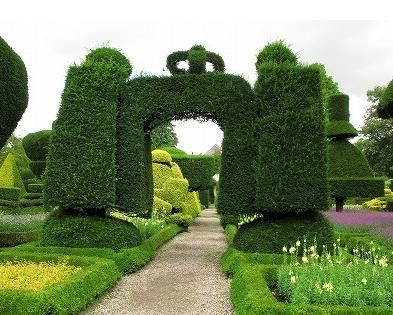 In the first century B.C.E., Pliny the Younger wrote of the topiary at his villa, "In front of the colonnade is a terrace laid out with box hedges clipped into different shapes from which a bank slopes down, also with figurines of animals." The idea of plants taking the shape of people and animals goes back a long way...yet we seem to have mostly discarded the idea that the process can happen in reverse, as the myth of Daphne and Apollo, or Narcissus. Interesting history and beautiful topiary!